Follow us on the web at our Facebook, Twitter, Google +, LinkedIn and YouTube accounts. 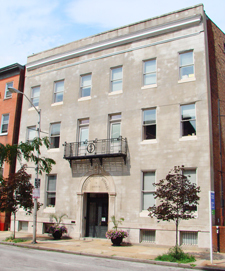 Agora Financial’s parent company, Agora Inc., was founded in 1979 and made the move to historic Mount Vernon district of Baltimore in 1994. Throughout the years, founder Bill Bonner and Agora Inc. have received many preservation awards. Today, Agora Inc. occupies eight buildings in the Mount Vernon area, including Agora Financial headquarters at808 St. Paul St.
Natural Health Response is written by Brad Lemley, an investigative journalist specializing in health and wellness research. Natural Health Response is committed to revealing the truth about your health, and giving you the tools that you’ll need to regain and keep control of it. Brad tackles the biggest threats to your health today, as well as simple, inexpensive, natural ways to achieve and maintain robust well-being. As a lifelong science writer and investigative reporter for some of the nation’s most respected publications, he is never swayed by biased information from Big Food and Big Pharma. He goes directly to the source — the best scientific studies on what actually works. From information on how to identify and avoid GMO foods (and why doing so is crucial)… what kind of diet you truly need to lose weight and maximize performance (it’s quite different from what you’ve been told for decades)… How to avoid (and cure) today’s most threatening disease… The terrible impact stress can have on our lives, and the best ways to relieve it… and more. He personally stands behind everything that he writes, and lives the life he writes about.